So you want to ship your vehicle? The first question you should ask yourself is how do you want to ship it? Lets briefly look at what may help you decide which method to use. 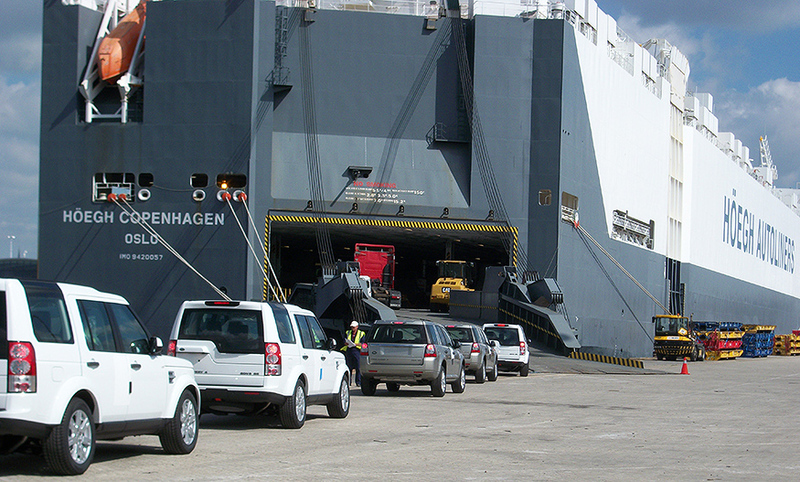 Also known as “RoRo”, the vehicle is driven onto the vessel and driven off at the destination port. Think of it as a very big ocean going ferry for vehicles. Vehicle’s are are secured beneath deck to securing point on the floor using straps so that the vehicle does not move whist in transit. The advantage of using the RoRo service is that it is more cost effective that using the container option, the only dis-advantage is that you cannot put any personal effects inside the vehicle on the RoRo service. On occasion dependent on the service you can load items inside vehicles at your own risk but we need to know your intentions prior to shipment to confirm if you are able. If you need to include other items in your shipment then we do recommend contanerised shipment as your best option. 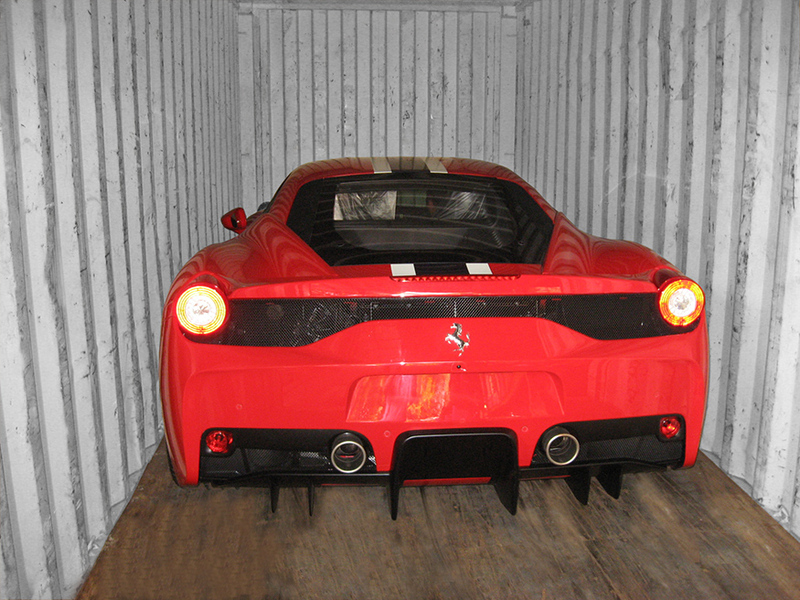 A Ferarri being containerised for shipping abroad. Your vehicle is put into a 20 foot container and secured using straps that go around the vehicles wheels and are then attached to lashing points that run around the inside of the container. This makes the vehicle secure and very stable within the container. It is not just saloon vehicles and 4 x 4’s’s that can be containerised, take a look at our gallery, we have even shipped large excavators in containers. One advantage of having your vehicle put into a container is that “non runners” can be exported or imported by this method. Another advantage of using a container to ship your vehicle is that you can include other items inside the vehicle and the container (space allowing). You can either transport your vehicle to port yourself or if you are unable to do this, we can arrange to have your vehicle collected by one of our experienced vehicle transporter companies that we work with, these companies are situated all around the UK, so no matter where the vehicle is located, we can get it to port for you. This is very important to check BEFORE you ship your vehicle abroad. Does the country that you want to ship your vehicle to allow you to import your vehicle? Are you required to have an import license in place before your ship it? This is where Elite can help as well, if you are not sure as to what you have to ask or who to ask for answers to theses questions, we can either answer them for you or point you in the right direction to the people or government office that can provide you with the answer that you are looking for. It is always the shippers responsibility to check this information prior to booking a shipment. Once you are sure that you can ship your vehicle to the country you want, we take care of all the relevant UK export paperwork on your behalf, this includes the UK customs entry. This is an optional service that we can offer you via our insurance broker. It isn’t a requirement that you have to have marine insurance in place before you export your vehicle but it is advisable and prudent to do so. It is highly unlikely that your vehicle will incur any damage in this day and age of modern shipping but you will have the piece of mind that if in the unlikely event that something does happen, your vehicle is covered. 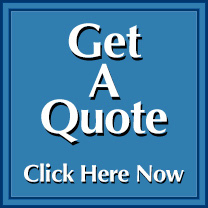 Ask us for a quote for marine insurance, we think you will be surprised at how little it actual costs in comparison to the benefits of having it. Call us today to discuss anything you would like to know about shipping your vehicle, in 30 years we have acquired a lot of knowledge, so we are confident we can answer your questions and set your mind at rest.